Volumes low, averaging 15 million. Eventual clarification of XRP’s status will either cause a rally or a meltdown as owners liquidate their holdings escaping SEC’s incoming oversight. At the moment, prices are stable and ranging inside a 4 cents range with caps at 34 cents. 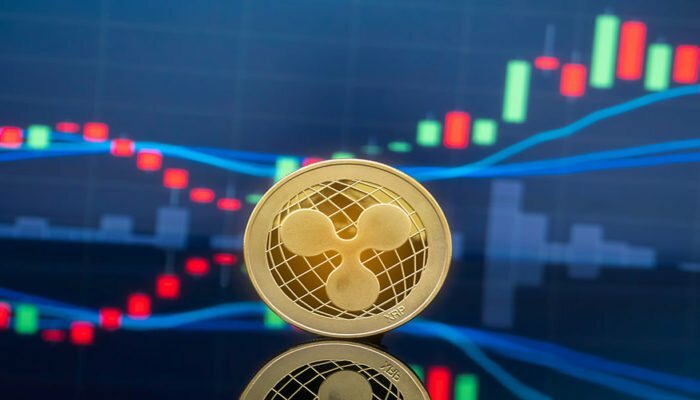 Should any court finding find them—Ripple Labs entangled in several civil action suites—liable then it is likely that the SEC will declare the asset security. However, the judgment is set to drag on mostly because of red-tape and SEC as a mandated agency vested with powers to declare any asset security or utility. 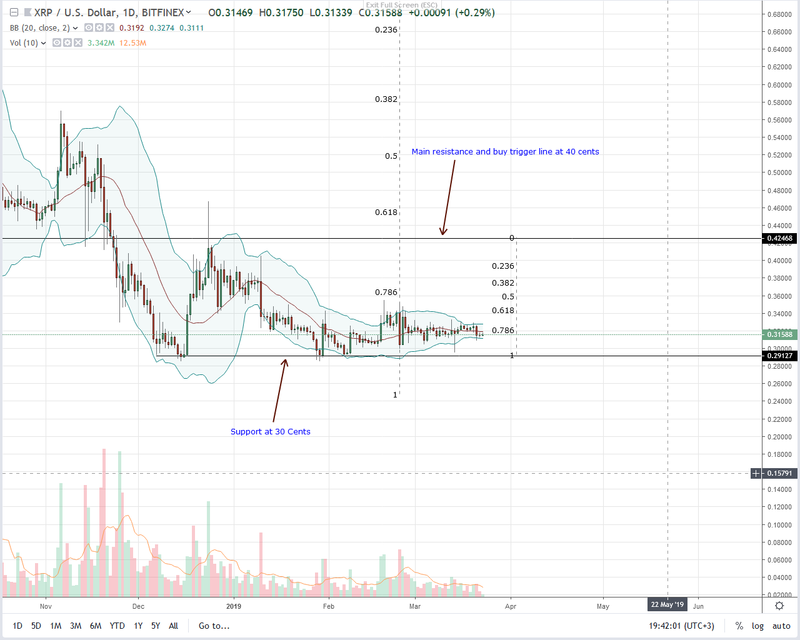 At third, Ripple (XRP) is under pressure with tight price movements in the last month or so. It is down 1.2 percent in the previous week, and because of low volatility, our previous XRP/USD trade plan is applicable. As mentioned, our buy trigger is at 34 cents with firm supports at 30 cents. We emphasize that it is after a high volume bar prints that we can initiate longs or shorts depending on the direction of the breakout, a result of the BB squeeze in progress. Expectedly, the confirming bar must have high trade volumes above recent average of 14 million and more importantly 61 million of Feb 24. As aforementioned, our anchor bar is Feb 24—61 million and even though bearish, subsequent bars—aside from those of Feb 25—had low volatility. Therefore, for trend confirmation—translating to a break above 34 cents, the breakout bar must have print above 61 million triggering a rally that could drive Ripple (XRP) above 40 cents.